It is always a great feeling when you buy a new piece, but lately I have felt a better feeling when I use what I have and make it look different because 1) I save money 2) there's not much space left in my closet and 3) I exercise my creative juices. 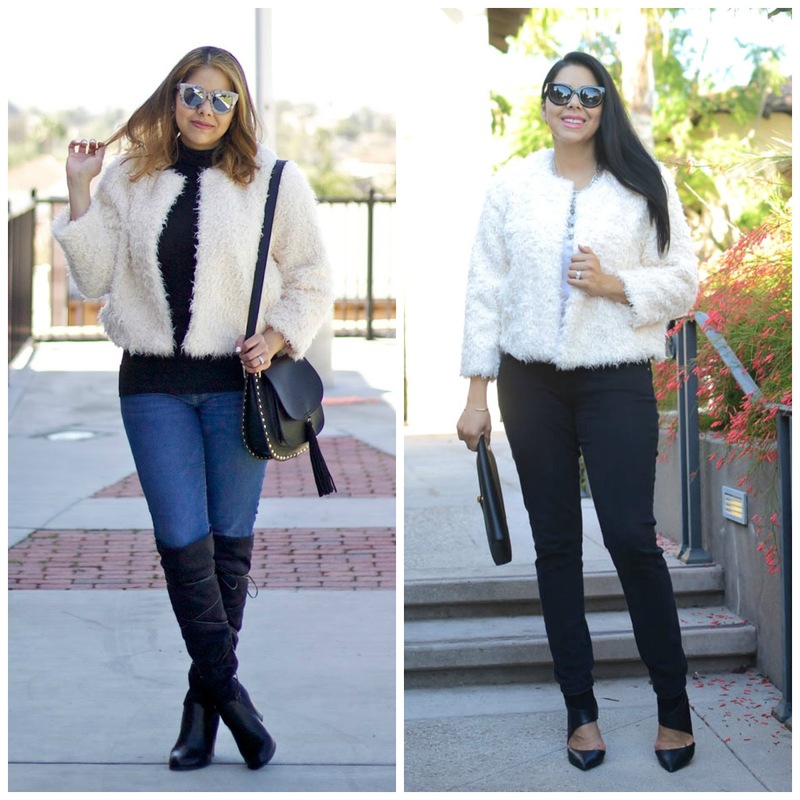 After realizing I kept featuring the same pieces just styled differently here on the blog, I decided to put together some of my favorite tips in hopes that this will help you re-style some pieces in your closet! Let me know if you try it in the comment section below or tag me on Instagram @lilbitsofpau! 1. Wearing a dress as a top. I loved the dress below so much that I wanted to wear it again, but for it not to look like a major repeater I wore it as a top. If the fit and length permit, tuck in the front portion of your dress into your jeans and voila! 2. 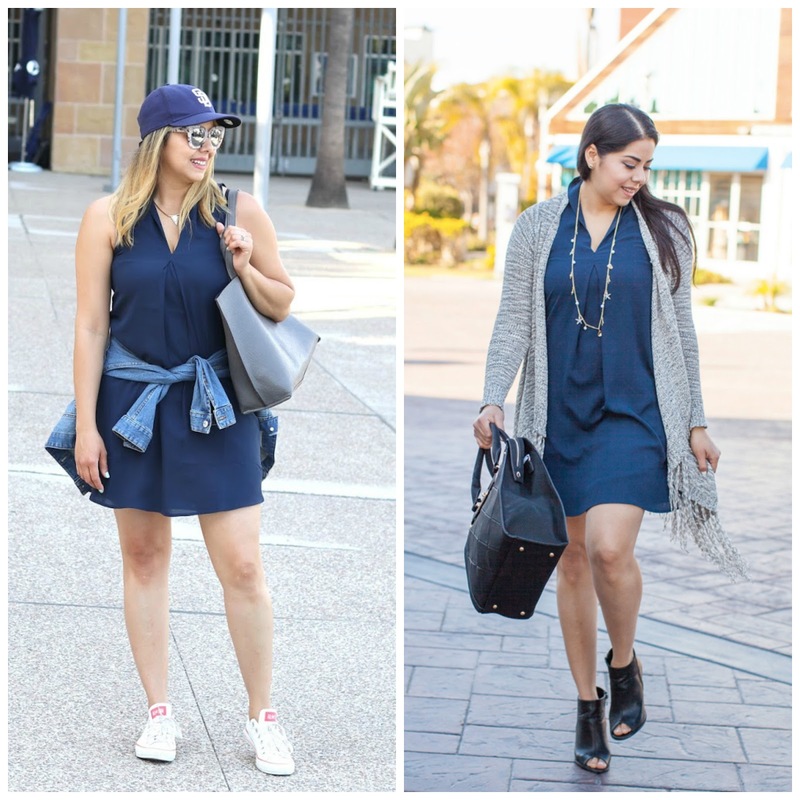 Transform a dress from casual to dressy. The easiest way to make a dress casual is by pairing it with a flat sandal or a tennis shoe, and when you pair that dress with a heel it immediately dresses it up. 3. Change the layers. In the example above and below, by simply adding or changing the layer (blazer, jean jacket or sweater) it automatically gives the outfit a new direction. 4. Pair the piece with different colors. From the blazer below I drew from the blue in one outfit and the red in another outfit to give a different look. I also made sure that the red accessories were the dominant items in the second outfit which steered the eye away from the repeater piece. Along the same lines, for a bigger difference take a look from monochromatic to a different color scheme. In the outfit below, the canvas is a simple beige dress. In one outfit, I kept the rest of the colors light light and metallic for a monochromatic style outfit. When it came time to style it a second time, I paired it with a heavier color (black) and took the look in a completely different color scheme so it was hard to notice that it's the same dress! 5. Wearing the blazer of a suit in suit form, or with jeans. This one is just easy, if you have a matchy-matchy suit, take the components of it - blazer or bottoms to incorporate into other outfit. I just used the blazer from the suit to pair with jeans. In this most recent blog post (here) I used the trousers with another top! 6. Change the accessories. I think this tip goes hand in hand with all of the tips- changing the sunglasses, handbags, shoes, and jewelry can revamp a look. I hope you enjoyed these style tips! Let me know if you have any that I didn't mention in the comment section below! Love reworking pieces. Thanks for sharing this post!